So what is Quinoa? Well for starters it's pronounced "Keen-wah." It looks like a grain, but it is actually a seed. Quinoa was first discovered in South America during the Inca period, but it recently has become popular among healthy eaters for its amazing benefits. Quinoa is considered a "super food." It is high in protein, fiber, minerals and is gluten free. I love it and although my husband, "the meat-eater," won't admit it, he has liked every recipe I have every made with Quinoa. 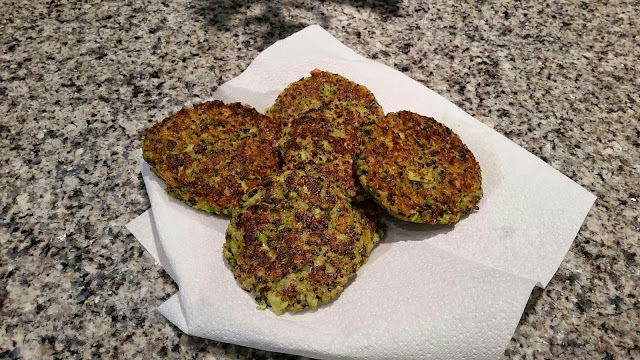 Here is a new recipe I tried today...easy to make and delicious. 1. 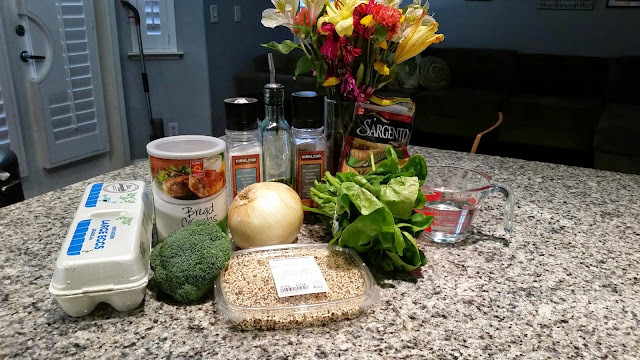 Cook quinoa to directions on packaging. 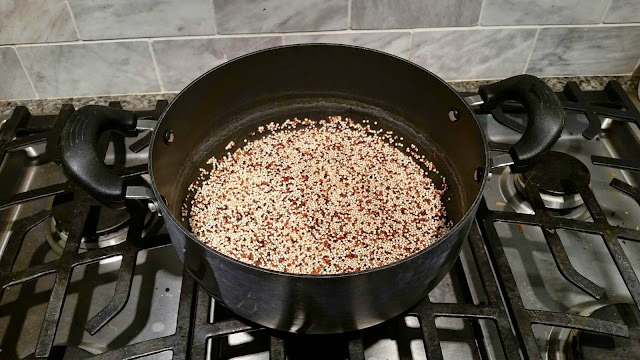 Typically for 1/2 cup of quinoa you will need 1 cup of water, let it get to a boil and then simmer while covered for about 15 minutes. You'll know it's ready when the quinoa is fluffy and the majority of the water has been absorbed. Let it cool afterwards on a plate. 2. 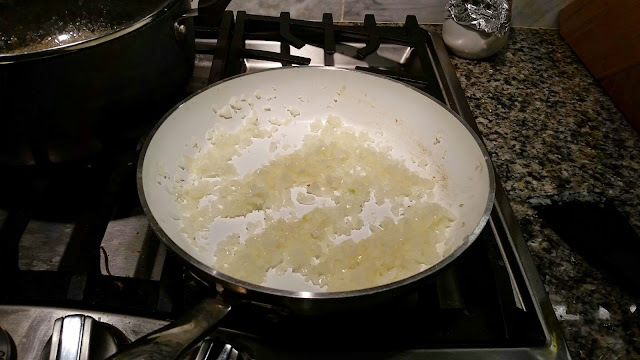 Saute the diced onion until they get a golden color while the quinoa is cooking. Once finished set aside. You can also cook the spinach in with the onion to save time. 3. Cook the broccoli until it softens. I decided to steam the broccoli instead of cooking it on a frying pan. 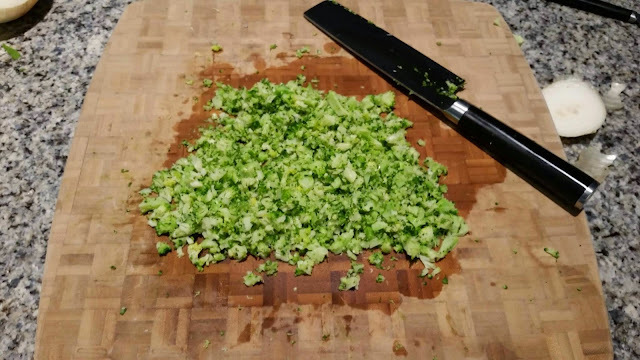 Set the broccoli to the side to let cool down, then dice into small pieces. 4. 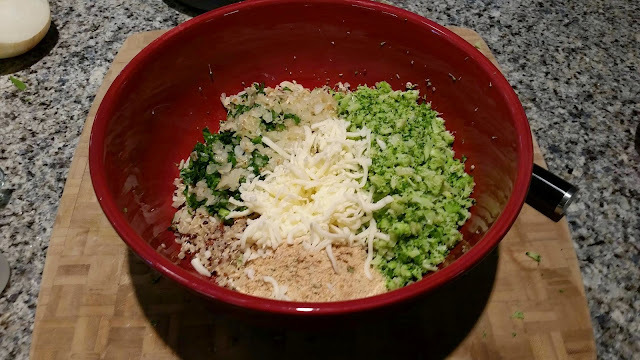 Mix everything together in a large bowl leaving the egg until the end. I only had mozzarella cheese lying around so I picked that as my cheese of choice.The mixture will be wet but this will allow the patties to stick together. Season with salt and pepper to your liking. 5. Heat some olive oil on a pan over medium heat. Roll mixture into approximately 6 balls, then squash into patties when ready to start cooking. Cook for about 7-8 minutes on each side. Let the patty get a crust but not burn. Keep on eye on them. Let them cool for a few minutes and enjoy!